iTunes cannot sync with my iPod after using TouchCopy. 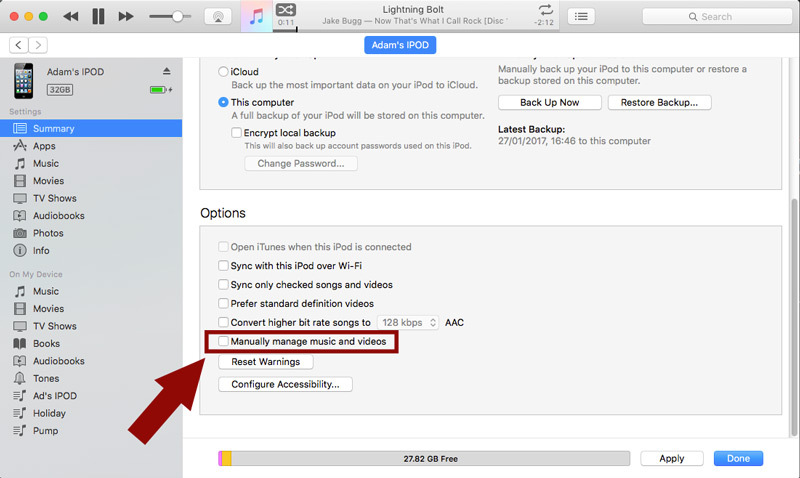 In iTunes, select your iPod and uncheck the options "Manually manage music and videos" and "Enable Disk Use". Ensure that the "Sync" box is checked for each of the content tabs. Connect your iPod to your PC and run iTunes. Select your iPod in the source list in iTunes. In the main iTunes Window (under the "Summary" tab) scroll down to the bottom. Uncheck "Manually manage music and videos".